we received 83 books via UPS today! 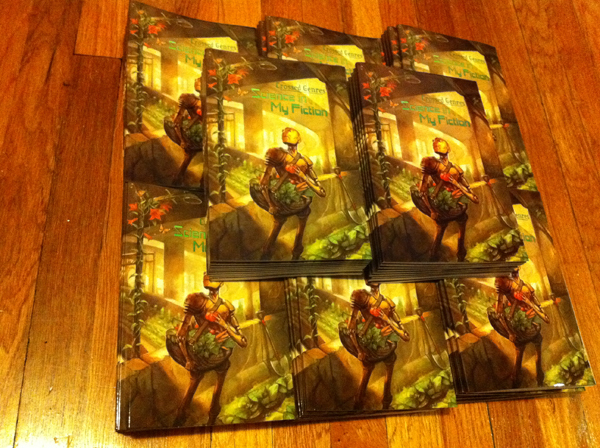 The first pic is 80 copies of the Science in My Fiction contest winner books. This is the replacement shipment that Createspace sent after USPS lost/destroyed the first shipment. They arrived safely, in great shape and super-fast. 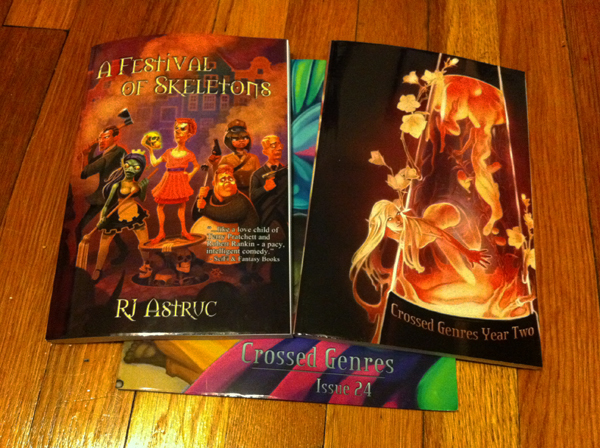 Kudos to Createspace for their handling of the situation! We’ll be packaging up the SiMF books this weekend and sending them out first thing next week. They’ll probably start arriving at the closer destinations by this time next week. Those of you who ordered signed copies, bear in mind that we still have to send some books around to all the authors before they get sent on to you, so it’ll take longer. But it’ll be worth it! There’ll be a big-big announcement coming in the next day or two. In the meantime, read a back issue or some chapters of our latest serial; preorder a book or three; pick up our LGBTQ issue before it goes away forever; and stay tuned!